Retailers on both sides of the Atlantic are facing a series of significant economic challenges. These include lower consumer spending, hypersensitivity and the threat of recession. It’s time for retailers to embrace new technologies as the solution to overcoming economic pressures! 2019 is set to be a turbulent economic year for many industries, including retailers on both sides of the Atlantic faced with a fragile and volatile economy, and slow growth forecast. Numerous retail challenges have emerged, such as U.S. consumer spending declining by 0.5 percent in Dec. 2018 - the largest drop in nine years - and many retailers becoming casualties and forced to close their U.K. stores. This blog will examine some of the most pressing concerns retailers are currently facing, and how the use of technology can help them overcome these challenges. Hypersensitivity will occur due to significant global economic uncertainties and consumers will get triggered into making better decisions regarding how they spend. There is little wonder that when KPMG principal and chief economist, Constance Hunter, stated “There’s a 50 percent chance, at least, the U.S. heads into a recession in 2019,” many businesses decided to hold off on making significant investments, waiting to see the outcome of global tensions and to evaluate the impact on consumer spending. to what degree retail supply chains were digitized. what business benefits retailers enjoyed after digitizing their supply chains. These results highlight and validate the overwhelming necessity for retail businesses to stride into the future and conquer economic pressures through the implementation of technological advancements, and the critical need for fully digitized supply chain processes and solutions to get actualized at the earliest opportunity. Retailers who embrace the new technologies that support the effective and efficient running of their supply chain operations will be able to minimize the impact and gain a competitive edge. By embracing these technologies, retailers can improve customer service, reduce costs, increase agility, and consistently implement the necessary processes and organizational changes that drive the operational excellence today’s retail customer not only wants but also expect. Find out more about retail supply chain digitization by downloading our exclusive research survey, which provides insights based on interviews with 500 retail executives. 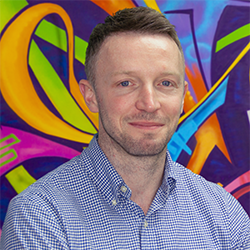 Nick Daly’s primary role within Gravity Supply Chain Solutions, is Head of Customer Success, and he is responsible for ensuring customers can achieve success and prosper by using the Gravity platform to their benefit, particularly those based throughout Europe. Nick joined Gravity because he was impressed by the vision and capability of the company to evolve the landscape of domestic and international supply chains, making them faster, smarter and more effective. He is passionate about being part of an ambitious team who can deliver solutions which take businesses to the next level. Based in the U.K., Nick gained well over a decade of experience within the supply chain and logistics industries while working for two leading global freight forwarders. He hasdevised and executed international supply chain strategies, ranging from physical to technical solutions, as well as successfully coordinating teams across the world. Nick can empathize with his customers, having worked closely with some of the U.K.'s largest retailers who offered him the opportunity to gain valuable insights into the "pain points" being experienced and what optimizations his clients were looking to source and execute. One of Nick’s greatest strengths is his ability to put his customer first which enables him to develop lasting customer relationships built on trust. He feels this level of personal support is especially important in the U.K. and Europe, which historically have experienced economic turbulence, and where it is vital for companies to mitigate the adverse economic conditions, by looking for ways to become much more efficient, which is precisely the goal we can help them achieve.